It has finally happened! 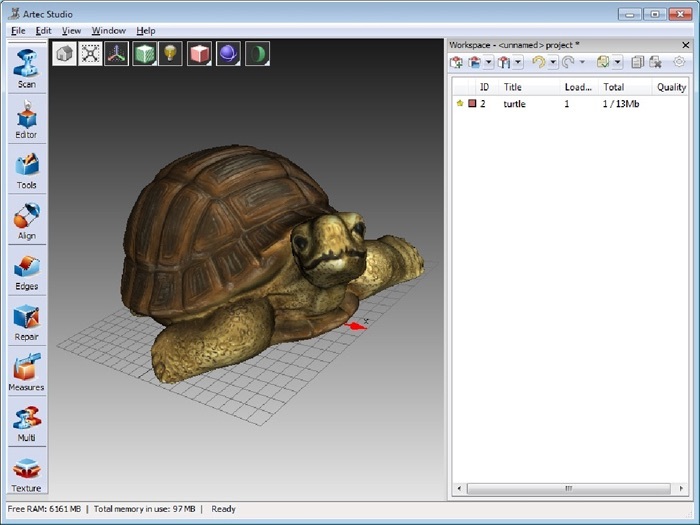 The long awaited, newest version of Artec Studio 0.7.0 software has been released. Hooray! Support for professional stereo visualization with NVidia 3DVision Pro (Quadro family of NVidia graphic cards)! Improved use of computer resources (RAM, HD, etc), making the software more stable and quicker at processing even the most resource-intensive requests. Introduction of a new concept: a «project». Multiple scans can be easily saved into a single project and loaded into the application quickly. This makes working and organizing a complex project, much easier. CSV (text format) enables user to export all acquired measurement data into a text document and print. PTX — another format that will enable users to export texture. Optimized global registration algorithm runs faster and produces better results than ever before. All existing customers may update to the new version free of charge, all new customers will get it by default with their new 3D Scanner. Now we are starting to work on the next 0.8 version. We have lots of ideas, so stay tuned for more!